The Rebel Sweetheart. : A Weekend in Paradise. Whenever Mum comes home for her annual vacation, we make it a point to spend a day or two at the beach. You see, we're a family of beach bums, and my Mum, who spent most of her childhood and teenage years in Subic, practically grew up by the sea. For this particular beach trip (which happened about two weeks ago), we decided to go somewhere close by since my grandmother will be travelling with us. That means Subic, Bataan, and most definitely Pagudpud were out of the picture. And so we ended up choosing Sariaya, which is about an hour and a half away from where we live. My sister, who acts as the family's travel planner, chose Paraiso Beach Resort for our weekend getaway. 'Paraiso', by the way, is the Filipino word for 'paradise'. And I guess there's no better word to describe a scenery such as this. 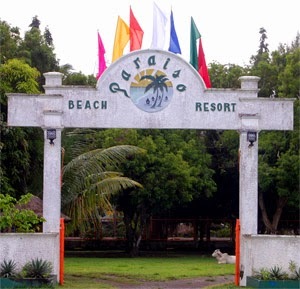 Nestled in the heart of Sariaya, Quezon, Paraiso is a full service resort that offers great personal service, comfort, and value for money. The resort is ideal for families on vacation, and spacious enough for company outings. My niece hanging out in one of the beach front huts. They have picnic tables and elevated huts for small groups, while for bigger groups, they have large cottages, the picnic hall, or the even bigger pavilion. For those planning to stay overnight, they have ventilated nipa huts and a selection of airconditioned rooms. Enjoying some good ol' playground fun! and a cafeteria that serves breakfast, lunch, dinner, and even snacks. Grocery items and souvenirs are also sold at the cafeteria. There's also an area inside the resort designed for intimate weddings, birthday celebrations, and the like. 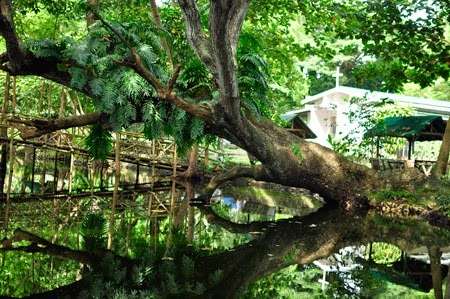 The Century Tree (a live, hundred-year-old acacia tree) is one of the resort's attractions. It's also an ideal, romantic backdrop for marriage vows. And aside from the beach itself, the resort also has a large swimming pool, a kiddie pool, and a jacuzzi for the ultimate R&R (as in rest and relaxation). The pathway heading to the pool area. 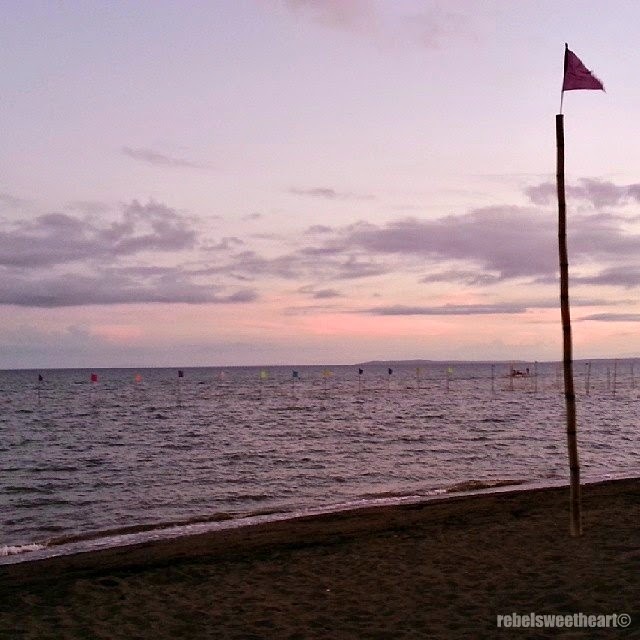 Whilst there, we stayed at Waling-waling (Php 5000/night) - a beachfront room that can accommodate all 10 of us. It's more like a big cottage, actually. Our bedroom was on the second floor. Inside were four double beds, a full-length mirror, a vanity table, and a small cabinet. The room was airconditioned, but we requested for an extra electric fan just in case the AC wouldn't be enough to keep the room cold for all of us. We also requested for an extra mattress (Php 200 each) and some extra pillows for my grandmother's helper. And this is why we can say they have great customer service. We requested for a lot of things, including a barbecue grill, food to be served in our cottage, etc... and they were all graciously granted. I love that our room was just a stone's throw away from the shore. You can hear the waves crashing just by opening the window, and you can smell the sea every time you breathe. Enjoying the sand, sun, and sea. Fun times, sans tablets and video games. Best of all, you get an awesome view of the gorgeous sunset just by stepping out of the cottage. Same goes for the sunrise, too! I've never been here, but it looks like an amazing place to take a family vacation! Looks like a great place to get away for a weekend (or longer). Beautiful photos! Looks like a lovely place and fun for all the family. We're beach bums at heart too. I like your pictures, they make me long to go on vacation. Wow! This is really beautiful. Definitely "paraiso-like" I'd love to go to this! P5k for 10 people is super affordable! it's places like these that make me love the beach so much! Wow! 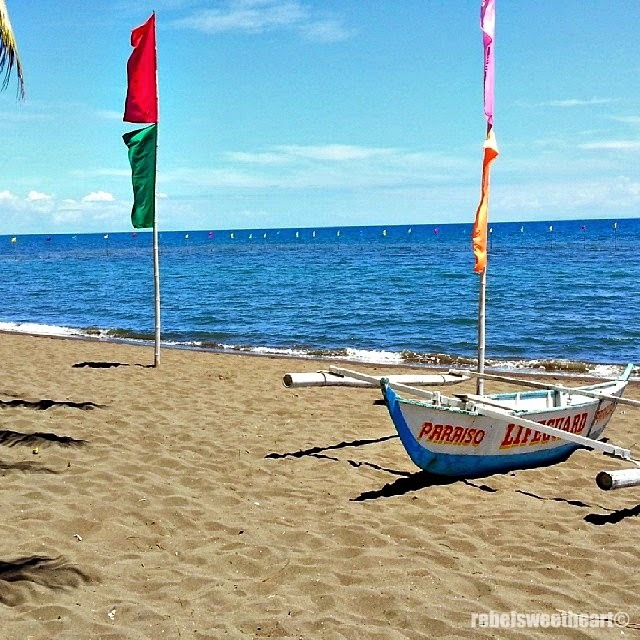 Hope I could visit Paraiso Beach Resort too!Great place to relax and enjoy Quezon. That century tree is amazing I hope they will never ever cut it off! I soo need this kind of r and r! Malapit lang Sariaya sa province ng mom ko which is Lucban Quezon. 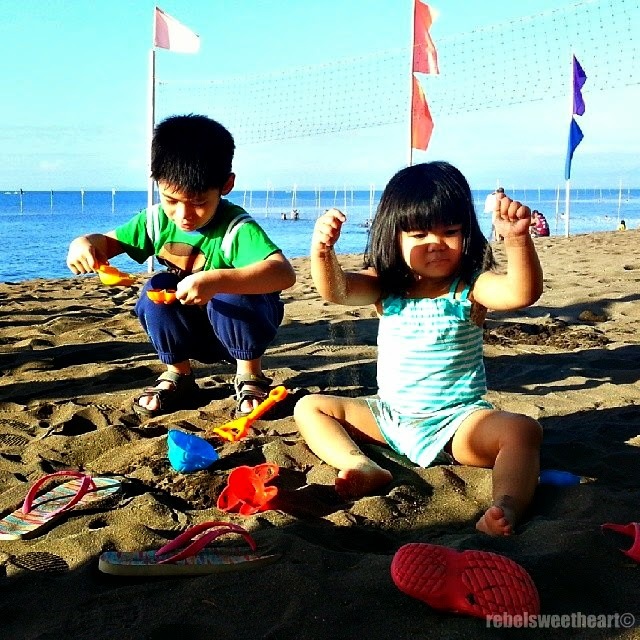 Naku, I'm getting excited to have our family outing because of your post. we'll try the place this summer. Can we bring and cook our own food? Is it ok if I borrow one of the pics with credits to you? Hello! Yes, you can bring and cook your own food. You may use my photos with credits as well. Thank you!